Courtesy Diavolo: Architecture in Motion will perform Saturday night at the Arts United Center. 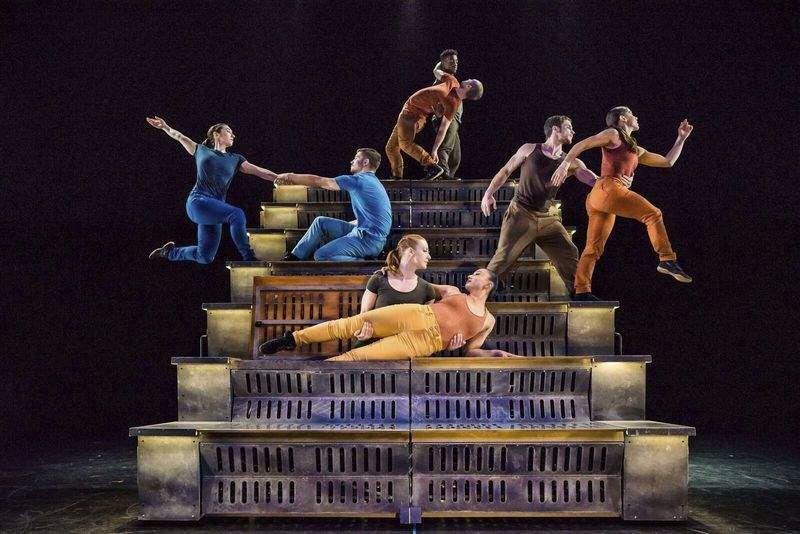 Fans of “America's Got Talent” will recognize Diavolo: Architecture in Motion for the company's acrobatic dance routines paired with large, moving set pieces. The Los Angeles-based group will perform downtown Saturday night at the end of a brief residency with Fort Wayne Dance Collective, which has hosted a guest artist in the city each year since 1989. The residencies include master classes, workshops, lectures and performances. There are three public workshops today at the local organization's school. Call 424-6574 for more information. Saturday's show will include a performance by more than 30 Dance Collective students.